Simply put, here are the most successful 14 cuts covering two years in the collaboration between Stan Getz and Antonio Carlos Jobim, during which both men became accustomed to having hit singles. Unfortunately, only one of them got to ride that horse for the rest of the decade - in the United States, anyway. Nonetheless, this material marks the Americans obsession with the bossa nova and was the music that made Getz and Jobim household names for a while - after all, we were just climbing out of the "swinging bachelor pad" music era and still had all those weird hi fi records to explore. 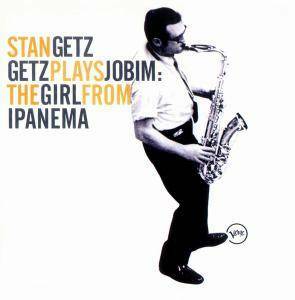 Seriously though, the great sensitivity shown by Getz for this material, and the adventurousness of Jobim were a match made in heaven and would change the faces of jazz and Brazilian pop forever. This is a fine collection for anyone interested in bossa, and Getz in this period as well.